Baby monitor security: Who else is watching? Smart baby monitors are useful devices for busy parents wanting to keep an eye on their little one whilst he or she is sleeping, yet as more devices are able to connect to the internet, there is a higher risk of a security breach. As we become increasingly dependent on apps and the internet, many parents may consider a smart baby monitor which allows you to use your smartphone as a baby monitor so they can monitor their child remotely, however, how secure are these devises; who else could be watching? Hackers crawl the web in search of unsecured cameras in order to exploit them. This could be for criminal gain or for their enjoyment, either way there are measures that can be taken to offer protection from this activity. One of the first things you should do when you purchase a baby monitor is to register the monitor; this assures your device will be updated with the latest firmware. Most manufacturers will update a devices firmware in order to fix a security issue or other technical problems, so it is recommended you check for updates regularly. It is advisable to restrict any remote viewing and access to the baby monitor when it isn’t required. While using the internet –connected features of a baby monitor is exciting and offers smart methods of motoring your child, leaving these connections active could make it easier for a hacker to gain access to the baby monitor and to breach your devices security. Many hackers will search for open cameras, or those which has a weak and generic default password, therefore it is vital users set strong password for access to the camera, even if they are not prompted to change it initially. Remember to change your password at least once a year in order to reduce your risk of a security breach. Securing your home network such as the wireless router will help prevent hackers making their way into your home network, and all the devices connected to it. If you are worried about the security of your home network, and your personal data, then it is vital to increase the security by setting a strong password. As a parent your child’s security is a priority, therefore if you have concerns about the privacy and security of a baby monitor, we recommend looking into the privacy settings and contact the manufacturers on how to increase the security. 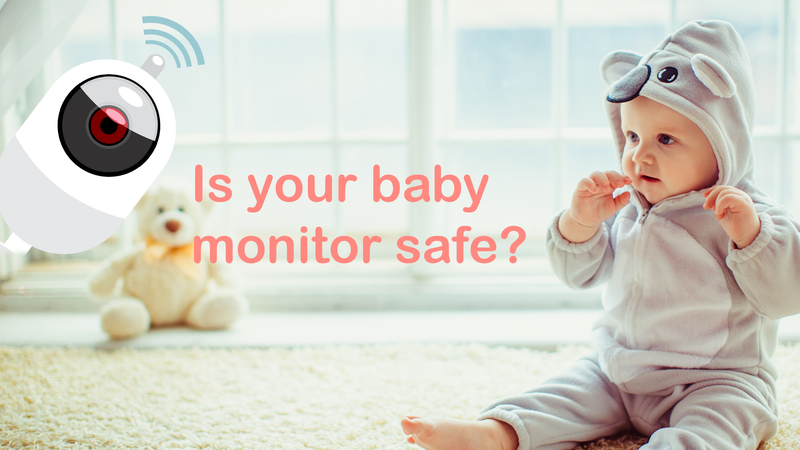 Following these precautions, if you are still worried about the security of your baby monitor, consider using a non-internet-connected device or an audio only monitor.